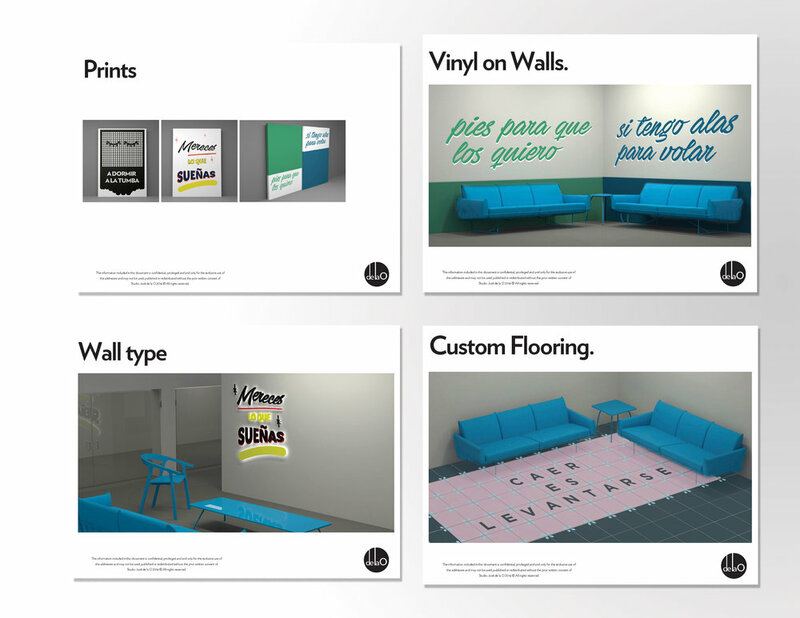 WeWork, a company based in New York, popular for creating beautiful working spaces, asked us how could their concept could be re-interpreted for the Mexican user, before they open the first Mexican Coworking Space. 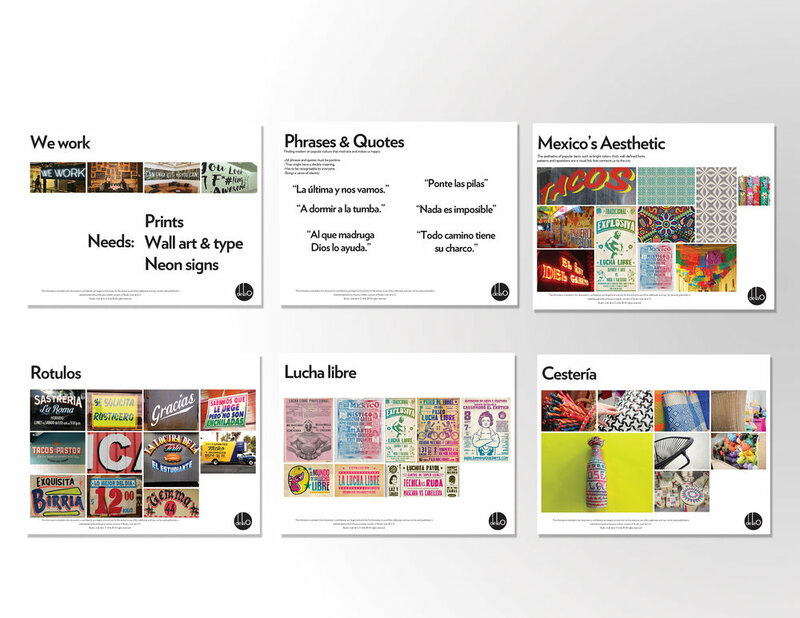 Researching on Mexican popular culture, craft and aesthetics, we created guidelines of how any mexican entrepreneur could feel "right at home" on any potential environment. 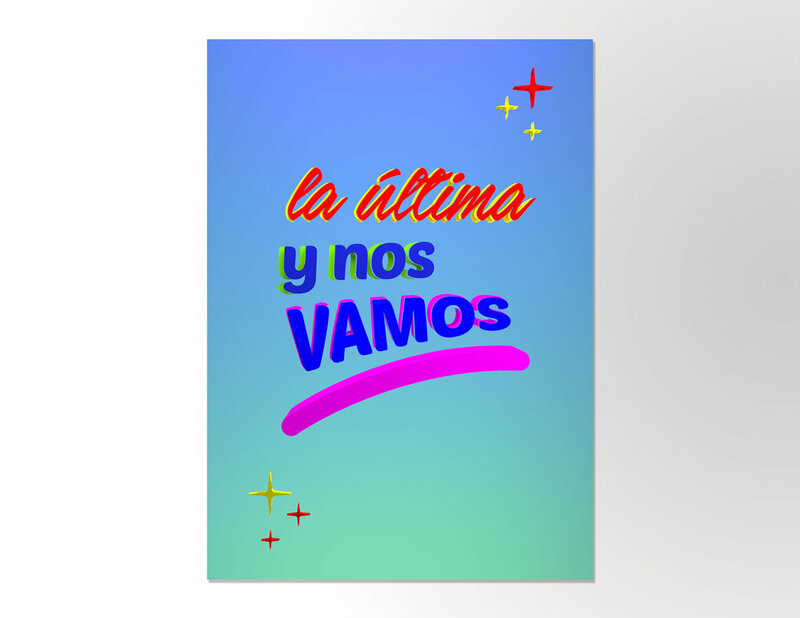 A series of digital and silkscreen prints were created, using phrases taken from mexican culture to bring a positive and motivational message all over their working spaces. The "Running Pork Chop" print is available for sale at our online store. Art Direction: José de la O. Research: Fernanda Lavin, Alejandro Espejel & José de la O.
Graphic Design: Fernanda Lavin, José de la O. Images: Fernanda Lavin, Eduardo Rivera & José de la O.